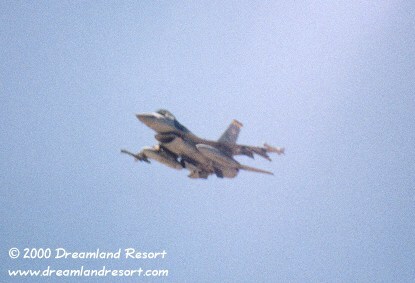 These excellent Red Flag photos were shot by our photographer Bill Whiffen with a 500mm lens during Red Flag maneuvers in 1999. Russian multi-role transport and attack helicopter Mi-17 'Hip-H'. 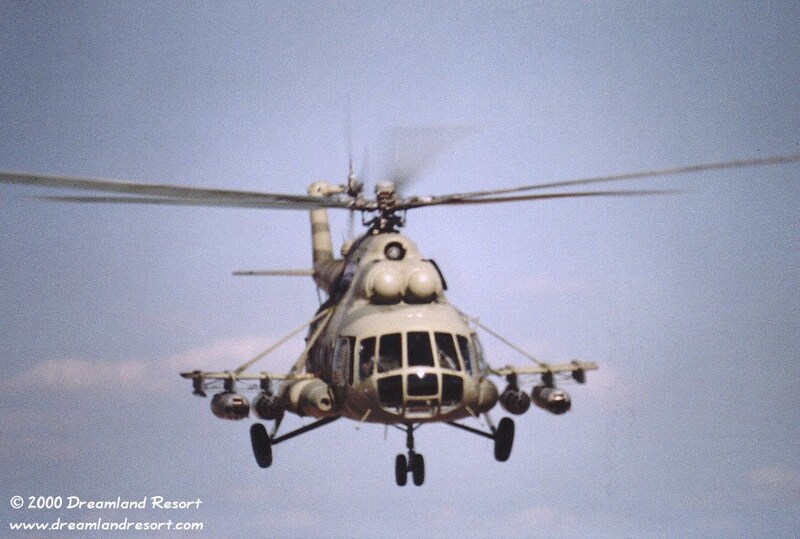 This is the export-only version of the Mi-8, the world's most heavily armed helicopter. It was exported to the former Warsaw Pact countries and to many of Russias allies, and is one of Russias most successful machines. The Mi-17, in contrast to the standard Mi-8, has the tail rotor on the port (left) side. 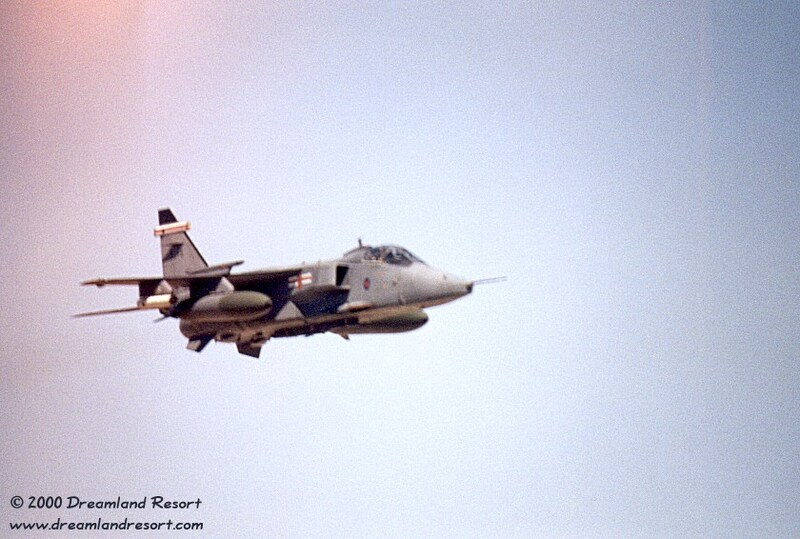 These photos show the original Russian Mi-8, also near Cedar Gate. 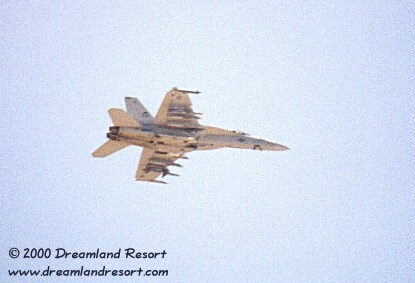 The 'Hip', along with the 'Hind' below, can be seen frequently during Red Flag exercises, mostly in Railroad Valley around the Cedar Pipeline Ranch. 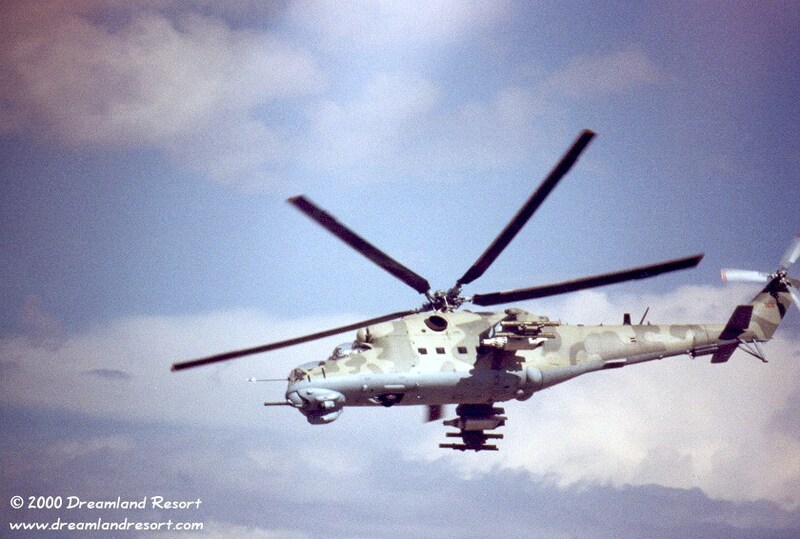 Russian multi-role attack and assault helicopter Mi-24 'Hind D'. 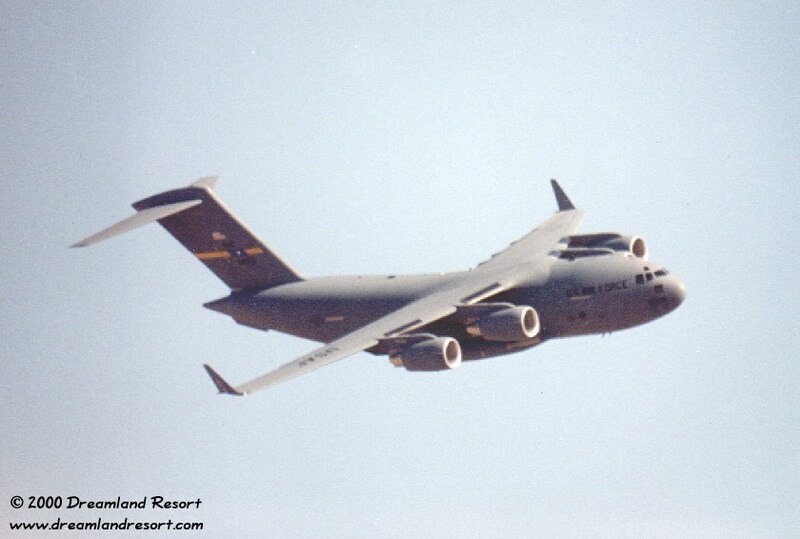 Its primary mission is to provide air support for ground troops. Russian offensive tactics call for a headlong advance, in which the 'Hind' is used as a flying tank. 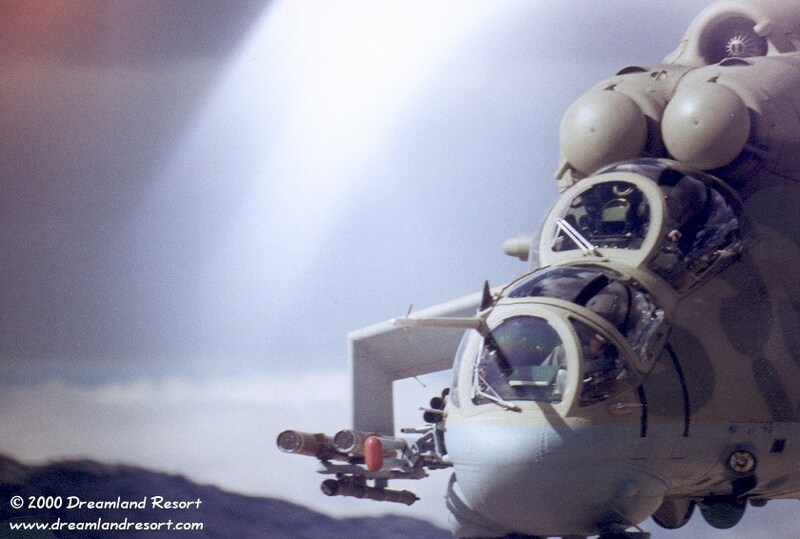 It has a small frontal area and is armored against infantry weapons fire; characteristics that are of great value in its role as an assault helicopter. 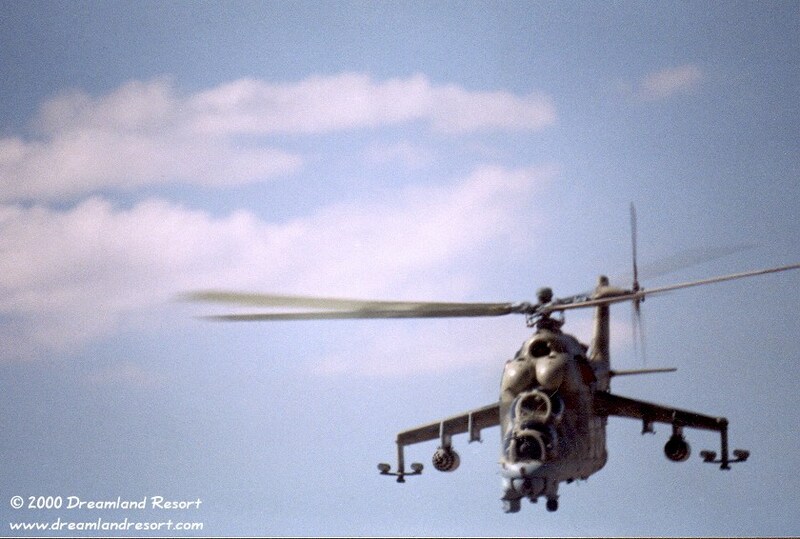 Impressive profile of the Mi-24 'Hind'. Too close for comfort? Bill, standing on top of his truck, was buzzed by the 'Hind' pilot, whom he later met at the Little A'Le'Inn in Rachel. USMC F/A-18C 'Hornet' with a HARM anti-radiation missile under the port (left) wing and otherwise empty stations - obviously on the way back from a strike. 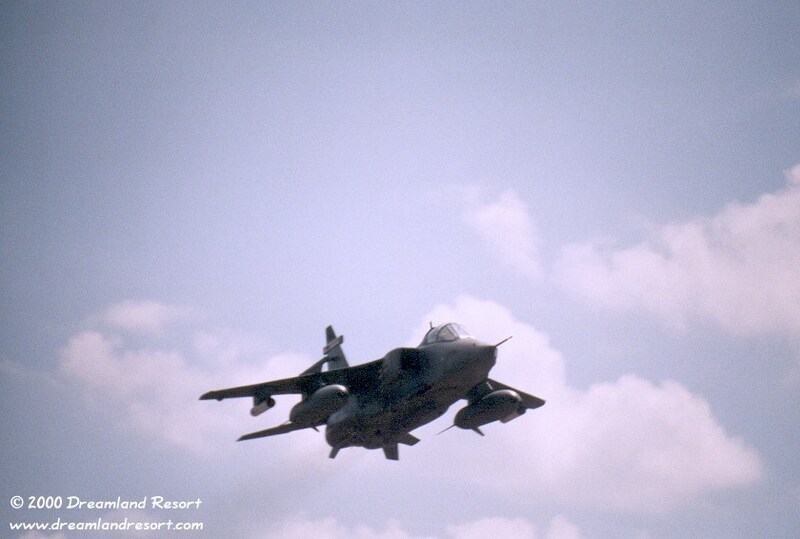 Nice shot of a RAF Jaguar, probably a GR-3 model. 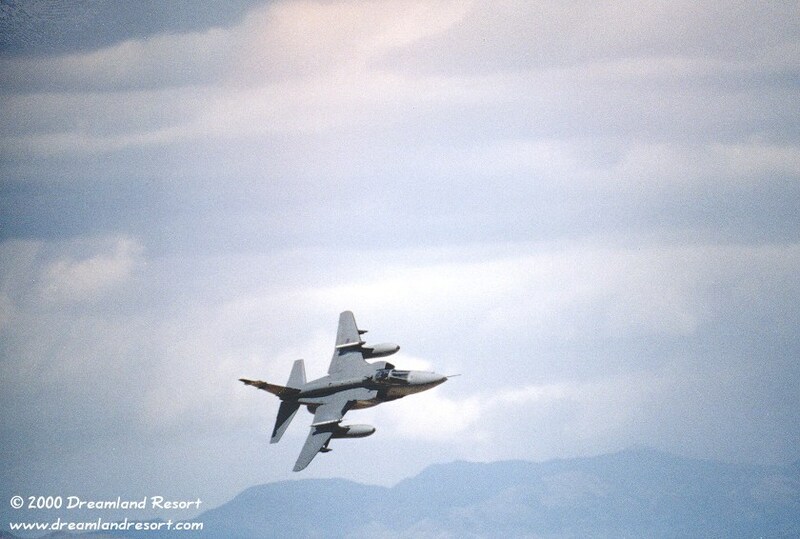 It carries its AIM-9L Sidewinder air-to-air missiles on the upper wing pylons so as to not take up valuable pylons on the lower wings. One of the pods in these pics is an AIS telemetry simulation pod, which can simulate a missile launch and track. It records the flight envelope that the missile was launched in, and whether the missile would have hit or missed its target, and provides a UHF/Microwave downlink for the data for the post-mission briefing. The other pod is just a counterbalance dummy, although the AIS pod does not weigh much.